Join us for our weekend brunches. Great “Family Style” food served with great music. 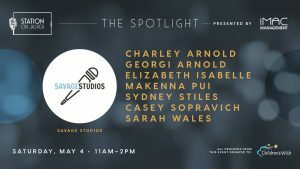 Our featured artist starts at 11:00am, followed by our Spotlight artists. View available Weekend Brunches below & reserve your reservation through the form. Julia is 13 years old and lives in Two Hills, Alberta. Julia loves to make people laugh and when she isn’t singing she can be found on the soccer field or in the swimming pool. Julia has always been drawn to music. About 4 years ago, she discovered her voice and a love for performing. 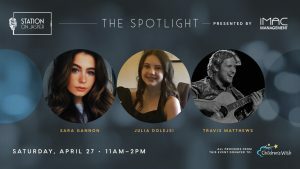 Julia has had the opportunity to sing at several community events, the Edmonton and Camrose Festival of Trees, both the Sherwood Park and the Provincial music festival and as a semi finalist on ATB Financial’s homegrown Talent Stage at Big Valley Jamboree. She has met so many great people along the way and is excited to continue her journey! My name is Sara Gannon – Arnott and I am 17 years old. I was born on February 5th, 2002, in Edmonton Alberta. Currently, I live with my Mom, Dad, Brother, and extremely laid-back dog Tiberius. I am in grade eleven, though it scares me to think that my high school days are coming to an end. I have been an honor student throughout my school years, receiving an honors of distinction award, a “Faith, Leadership, Dedication” award and a “Best in my year Spanish” award all for my achievements last year. In the future, I plan on taking a route into Med School to become a surgeon, of course my dream being to have a successful career in music while still getting a medical degree on the side. Family is very important to me as I have buckets full of younger cousins and a family like no other (though that’s probably what everyone says). My family is my core and my roots, what grounds me down and what keeps me going in times that are tough and times that are joyful in every way. My relatives and I are very close, an aspect of my life that sometimes I feel I take for granted. Throughout my life my parents have taught my brother and I that learning and developing a true understanding for the world comes with experience. When I was younger, I didn’t really understand where they were coming from. It wasn’t until about five years ago when we started to travel world-wide did my eyes open to the depth of people’s lives outside of my own. Travels through England, France, Italy, Spain, Monaco, and Iceland captured my love for Europe as I now dream of a house in the country side of Oxford or owning a Café on the outskirts of Sicily. We then brought some of our attention towards Asia as we flew the long journey to Vietnam. Staying in homesteads, backpacking through Sapa Valley, and caving in the dense jungle gave us a real taste for adventure. Recently, my family has travelled through Nicaragua, Honduras, which included getting certified in scuba diving. Last summer, sight-seeing in Botswana, Zimbabwe, and South Africa engulfed us in a new world of culture and diversity. Music has been in my life since I was very young as multiple members of my family play instruments or sing. Throughout the years I have picked up playing piano and trombone, taking piano lessons for eight years and being in my school band for two. About four months ago I began guitar lessons, and though I like to think I am Brian May, that dream is VERY far from being true. When I was 9 years old, I began taking voice lessons with the incredibly talented Ruth Blais. Throughout my years of having such a talented coach by my side, turning now into a wonderful friendship as well, my love for not only music but singing has sky rocketed. Ruth really opened my eyes to the possibilities I could reach and ways in which my voice could move and change. With much hard work and lots of fun, we have been able to get closer and closer to what we hope to achieve in the near future as my voice continues to develop and learn. I have had multiple experiences in the past performing for the public and currently am planning ways in which I can promote myself more. I have performed many times at Century Casino, as well as made an appearance at “La Ronde” Restaurant downtown on jazz night. I have been in two plays, as well as sung in front of my high school for events. I am currently in a Foote Theater School program at the Citadel Theater downtown which has gained me many benefits and created life long memories. Currently, my class and I at the Citadel are creating a Shakespeare Broadway crossover production which will be performed later on in March. I have also sung at charity events and love to sing for my family and friends. Music is something that I find myself very connected to. Singing is a way I love to express myself and help people understand topics they may have a hard time grasping in conversation. Singing and music is something that I believe is meant to be shared and felt, no matter the genre or person singing it. Being accepted into BVJ would be a phenomenal experience as I would be able to learn and be inspired by so many talented young artists and mentors around me. My name is Nathalie, I am 20 years old and living in Red Deer, Alberta. I have been singing since the age of 4 years old, I remember singing with my grandma & my sisters all the time. My musical influences are Demi Lovato, Carly Pearce, Miranda Lambert and Lauren Alaina. I am an aspiring country music singer. Music is my passion and will always be apart of me. Since the age of 8, Cyra has been performing at multiple venues. She is the current 2018 Big Valley Jamboree 12 & Under Grand Winner. She also won her first competition three years ago at ‘Future’s Fest’ and competed in St.Albert’s Got Talent. 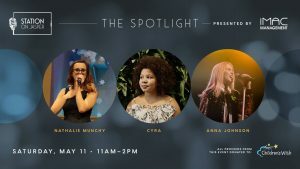 Cyra was one of the singers for the ‘United Way’ Campaign video in 2016. She was also one of the featured singers in a Southside Mitsubishi advertisement. You can hear the young performer’s voice on multiple radio stations. The Youtube video for the advertisement has almost half a million views. A past time of hers is to try to outsmart her cat. It is one battle she almost always loses. Cyra’s future in music is just beginning! Cheyenne Buryn has become quite a performer and singer in the past 2 years. Cheyenne loves to sing, and you can hear her passion in her powerful and mature voice. Cheyenne rocked the stages last year in the Kdays, Ponoka Stampede and Big Valley Jamboree Talent Contests. She made it to the Semi-Finals for the ATB Homegrown Talent Contest and was able to perform at Big Valley Jamboree in Camrose! She also performed at The Almanac and Station On Jasper, very popular Downtown Edmonton Venues! Cheyenne is more on the quiet side, but expresses so much in her outstanding drawings & short stories! She says one day she will be an author & do her own illustrating. Cheyenne Buryn’s accomplishments so far in the music industry have been fabulous and she continues to pursue her passion daily! Exciting things to come for this songstress! Kira Romans is 20 years old, and is currently in her third year of Elementary Education at the University of Alberta. Kira has been taking private vocal lessons for 12 years, and has always had a passion for music since a very young age. She was involved in the St. Albert Children’s Theatre for 6 years, and performed in 9 productions with them. One of Kira’s most notable roles is when she played Winifred Banks in Bellerose Composite High School’s Production of Mary Poppins in 2016. On Sunday mornings, Kira leads her church in worship with her band called “Grace Note,” and has been singing with the church for 10 years. Over her 12 years of vocal lessons, Kira has received many awards. Kira is an annual competitor in the St. Albert Rotary Music Festival, and has been the recipient for the Junior, Intermediate, and Senior Vocal and Musical Theatre categories. In 2018, Kira was the recipient of the Christene Murdock Memorial Scholarship for her Musical Theatre ballad performance. She has had the pleasure to have been recommended, and to have performed at provincials for the competition as well. One of Kira’s goals is to incorporate music into her classroom and teaching. Kira would love to incorporate music into her classroom because she knows how much of an impact music can have on an individual. Although Kira competes vocally, one of her favorite things to do is sing for pleasure. Kira finds that singing is really good for stress management, and brings great joy to her life. Although Kira competes in the genres of Classical and Musical Theatre, she thoroughly enjoys singing all genres of music. Kira often gigs in the summer for various charity races and events, and performs a wide array of music including the genres of pop, country, jazz, folk and gospel. The musicians of Heartland were brought together by their love of music. 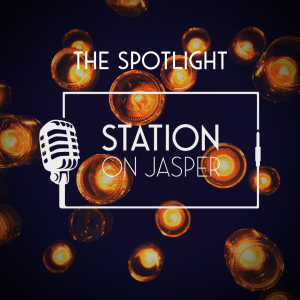 Their dedication and determination has lead them to perform at many venues such as Big Valley Jamboree, Ivan Daines Pick-Nik, The Jeans & Jersey 2019 Fundraiser, and the Willingdon Arena! Heartland is currently working on writing, recording, and producing. Be sure to check out their website, heartlandmusic.github.io for updates! Please enjoy their country rock style!